science fiction | Thots and Expressions..
Posted by Afrozy Ara in Movie Reviews, Sci-Fi. It was a vacant Sunday evening foreboding a whole work week ahead. With nothing much to do (it’s pathetic to start a book on Sunday evening, unless it’s a thriller and you can get into the groove right from page 1! ) 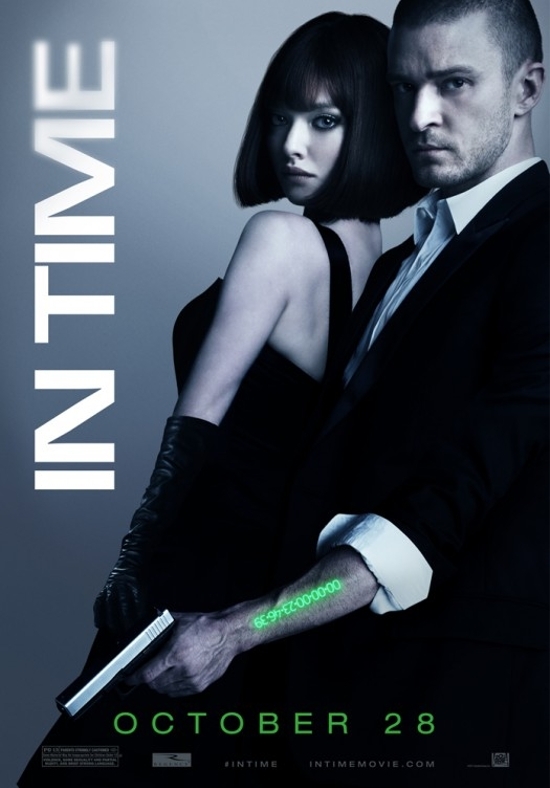 , I stumbled upon the sci-fi thriller – In Time . The movie is set in a dystopian future when the human race is genetically modified to live only 25 years, after which everyone has to earn Time to survive. And like the ultimate scarce resource, Time cannot be created – it can only be transferred from one person to another. So as the cost of living continues to rise, the poor will die (or “time out” early) while the rich can live on till immortality. Apart from this ingenious sci-fi theme, In Time has a very simple story. Realizing the inequity caused by the rich hoarding time, while the poor live by the hour, Will Salas (Justin Timberlake) along with Sylvia Weis (Amanda Seyfried) goes on a Robin Hood style mission to steal Time from the rich and distribute it to the poor. Armed with a gun, these 2 guys just walk in, robbing bank after bank. That’s it! The idea to use Time as a currency is novel, giving a fresh dimension to the Hollywood fraternity’s obsession with different ways to destroy the earth (Aliens, Dinosaurs, Godzilla and 2012! ) But then, for a story to be compelling it’s not just the idea or the scenes. It has to touch some emotional chord, and somehow I missed that soul in the movie. So, while it does remarkably well on the concept and setting, it is quite weak in plot. And the characters simply don’t stand out. Amanda Seyfried looks stunning; with all her stunts in designer party dresses and high heels (you can hardly recognize her as one of the Mean girls in the 2004 movie). Cillian Murphy has unforgettable haunting (and sometimes mean) blue eyes! He plays a foil to the hero as a Time keeper, the cop out to catch the Time stealers. The performance by Justin Timberlake is OK, his stint in The Social Network, IMO was much more impressive. But then, it’s not the actor’s fault. The character simply did not have enough meat! It’s like an awesome concept which was developed in a hurry. The writers just didn’t want to put more effort into it, or add complexity to the plot. The producers wanted to package something and send it out fast. And that’s quite sad for a movie that had a potential to become great (like Inception) but turned out to be “just good”. Will agree with the IMDB rating on this, it’s 6.6 out of 10. P.S. I don’t know why, but this movie sort of inspired me to read 1984 by George Orwell. That’s now added to my reading list. Posted by Afrozy Ara in Book Reviews, Classics, Fantasy Fiction, Mumbo Jumbo, Sci-Fi. 2012 is in. It is a unique year; heralded by doomsday predictions and bucket-list resolutions. Well, I am not the usual new-year-resolutions maker. But a one week vacation from office on New Years Eve gave me a lot of free time to dabble with. And, I managed to scribble my TO-DO list for this year. The resolution topping the list was; Read… Read.. READ! So, I’ve prepared my reading list for this Quarter ( In line with another resolution of mine! ). No specific preferences, but a mishmash of genres which I had been hoping to experiment with, but had never really got down to. I have chosen the series form of books because it has always impressed me. IMO, this is one of the most challenging forms of writing. Being able to capture the attention of a reader through thousand and thousands of book pages, and a delicate web of entwined plots is a commendable (and tough) job! I haven’t read all these books yet, so don’t blame me if you don’t like them. But they have this quality of beckoning you, like some sort of literary seduction, making you want to read them. I am not sure how they will turn out to be, but here is my list. So without wasting any more time, lets go..
Ladies and Gentlemen, presenting the definitive “Reading List Q1 2012.”!! 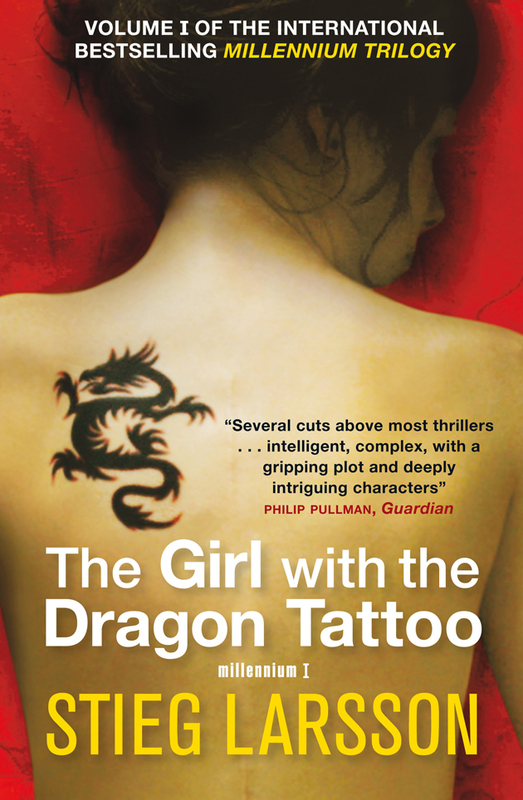 The trilogy is a series of the books with the most riveting names -“The Girl with the Dragon Tattoo”, “The Girl who kicked a Hornet’s Nest” and “The Girl who played with Fire”. It is written by Stieg Larsson, a journalist who came from nowhere and attained iconic status in the crime fiction world with this series of books. I have not read much of Crime fiction earlier. The most I had read were the Agatha Christie novels, and the occasional classics like “The God Father” . And of late, had been bit too preoccupied with Wizards and Vampires. So this is my first detour into crime fiction in a long long time. I have just orders a Box set of the trilogy from Flipkart, and the books seem to be pretty long (600+ pages each ). Yet, every review I have read has called these books a page turner, so it is No 1 on my reading list. And the biggest motivation of course is the character of Lisbeth Salander. Weird, enigmatic, brilliant, dangerous security specialist; she simply cannot be missed!. This is a series of books by an Indian author Amish Tripathi. 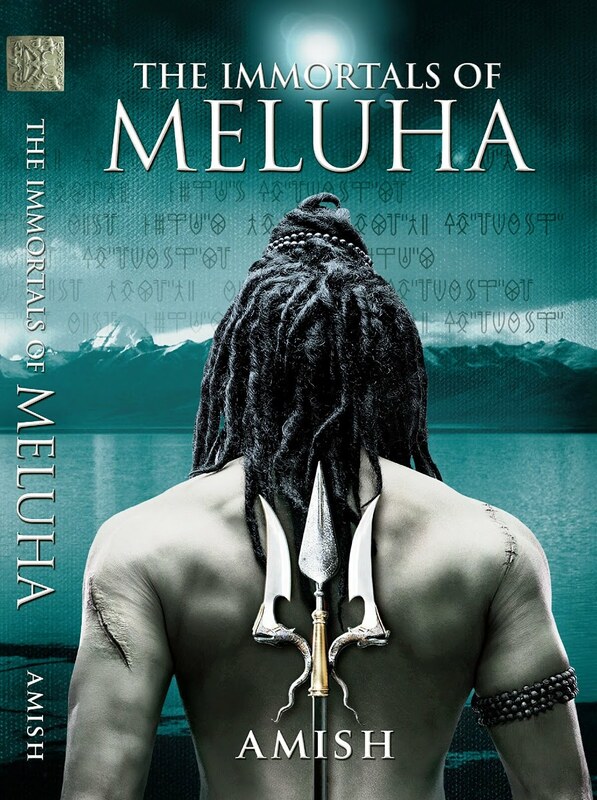 The first 2 books – “The Immortals of Meluha” and “The Secret of the Nagas” are bestsellers. The third book of the series has not been released yet. It is an unusual genre – Mythology, and I don’t remember having read any books of that genre yet. OK, you may count Lord of the Rings as Mythology, but Indian mythology is unique – it is such a dense and spiritual subject. And taking a culturally sensitive subject like mythology and converting it to believable fiction is an awesome feat !. I have spent most of my childhood reading books by great English authors. The characters in my mind, the novel settings.. Everything is foreign. The last great book that I read set in Indian settings was the “White tiger” by Arvind Adiga. So I am really looking forward to how the author has pulled it off. Another thing that attracted me to this book is this haunting quote from “The Secret of the Nagas” – “The opposite of love is not hate, its apathy”. Well..Age old thoughts spun into a tale relevant in the modern context. This is a must-read book!. The Hitchhikers guide to the Galaxy is a crazy book. It tickles you out of your senses. Gives the absurdist, stupidest, most bizarre ideas in the most matter of fact way, expecting it to be funny and it actually is!! 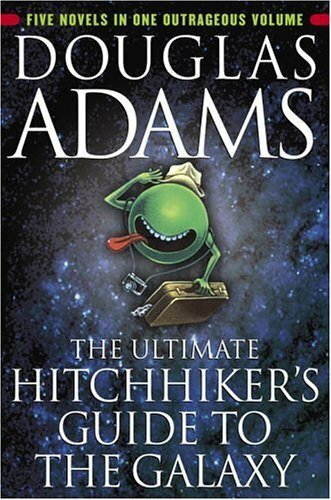 This is the first in a series of 5 books by Douglas Adams. “The Hitchhiker’s Guide to the Galaxy” , “The Restaurant at the End of the Universe”, “Life, the Universe and Everything” ,”So Long, and Thanks for All the Fish “, “Mostly Harmless” and “And Another Thing…”. The last book was written by 2 other authors after Doulas Adams’ death. Taking the most ordinary mundane daily happenings, and spinning it into the weirdest anecdotes, this book has intellectual gems thrown in the most the most unassuming way!.. Want a peek? Well, this is one of my favorite passages (out of the countless others) in the first book. “People of Earth, your attention, please. This is Prostetnic Vogon Jeltz of the Galactic Hyperspace Planning Council. As you will no doubt be aware, the plans for development of the outlying regions of the Galaxy require the building of a hyperspatial express route through your star system. And regrettably, your planet is one of those scheduled for demolition. The process will take slightly less than two of your Earth minutes. Thank you. There’s no point in acting surprised about it. All the planning charts and demolition orders have been on display at your local planning department in Alpha Centauri for 50 of your Earth years, so you’ve had plenty of time to lodge any formal complaint and it’s far too late to start making a fuss about it now. … What do you mean you’ve never been to Alpha Centauri? Oh, for heaven’s sake, mankind, it’s only four light years away, you know. I’m sorry, but if you can’t be bothered to take an interest in local affairs, that’s your own lookout. Energize the demolition beams. I don’t know, apathetic bloody planet, I’ve no sympathy at all. There was a terribly ghastly silence. There was a terribly ghastly noise. Oh, I know. Don’t give me that pitiful look. I know this series is ancient. I should have read it like 10 years ago! But then, it’s better late than never. And what best way to start a New Year than make up for all the good things you missed in the past!. So, the Bourne series makes it to my list. There are 9 books in the series; out of which the first 3 are “The Bourne Identity”, “the Bourne Ultimatum” and the “The Bourne Supremacy” written by Robert Ludlum. The rest 6 have been written by some other author. Don’t know how long the series will be able to hold my attention, but at least the first 3 are a must! There is something very touching about a man who is constantly trying to understand who he is. And, when he is painfully deducting his past by analyzing his instant reactions to situations and things. It is sort of scary yet tragic in a very poignant way. The book is an absolute edge of the seat thriller. I have read the first one halfway through and it is quite promising. Am determined to make the rest this Quarter. What is life without any romance?. So here is my last entry – a dash of romance to the reading list. And what is the best form of romance other than Vampire love stories – it’s the hot flavor of the day! I have read the first 2 books of the series – The Awakening, and The Struggle, and there are 7 more to read. Since the novels are only 100+ pages each, it isn’t much of a challenge really.. The books are not much of a literary genius (is sort of Mills and Boons sometimes), but the plot somehow got me hooked. It has all the elements which will make you want to read it more – romance, suspense, drama. Actually the motivation for me to read this book came from the Vampire Diaries TV series. The series is awesome, with impossibly handsome vampires and equally ravishing vampire-victims stuck in a world with witches and werewolves. Gosh! 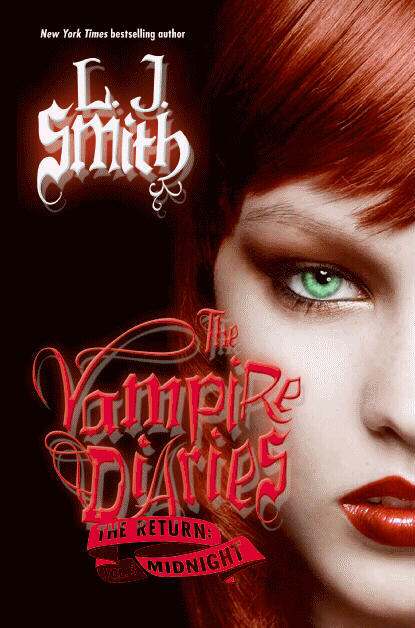 I don’t know, but there is something very enticing about these Vampire love stories . Perhaps it is the idea of an impossible romance – a relationship so volatile that it cannot exist naturally.. Hunter loves the hunted.. Guy thirsting for the blood of the woman he loves. The conflict between extreme emotions.. Lion falling in love with the lamb. But then, writers are crazy people – the readers even more! So, here is my list for Q1 of 2012. Hope I’ll be able to keep up my New Year resolution and post my reviews as I read along!